Everyone grows up in different environments, and the messages we see and hear shape them either positively or negatively. What is important is anyone can achieve success if they choose positive words and actions and want to better themselves. When we mentally discipline and train our mind to positive thinking, physically create a healthy body and lifestyle, emotionally manage our emotions controlling our tongue, and spiritually develop a grateful and loving relationship with God, many self-perceived barriers are eliminated. What is in our thoughts and words comes from our heart. Heartfelt gratitude, no matter where we are in life, is an ingredient that takes our mind off ourselves and makes us serve others. Act as a leader and not a follower. Speak up for those who cannot help themselves. Use positive words and actions to build a model for success which others will follow. Please and thank you go a long way in life, so when we generate all these qualities and accept God’s grace, there is no stronger ally for life! We are not alone as we all have made mistakes and hopefully learn by example. Let our positive words and actions bring happiness, love, joy, and creativity into our lives to help others succeed. Are we doing all we can to develop ourselves with the skills God has granted us? Are we mentoring those who are struggling in life who need guidance? Will we leave a positive legacy for our family and society to use as a pillar? The book T.H.A.N.K. Y.O.U. 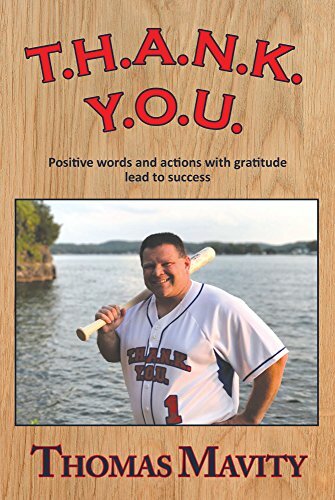 will provide powerful, positive words and examples that will help lead to success. If you can visualize, stay focused, work like no other, and give it all to God, your positive life will arrive. Mon, Wed, Fri: 10:00 a.m. - 5:30 p.m.
Tues & Thurs: 1:00 p.m. - 8:00 p.m.